A statue of King Tut’s grandfather “Amenhotep III” was found by the Egyptian European mission excavating at Kom El Hetan site of the funerary temple of Amenhotep III on west bank,Luxor. The discovered alabaster statue shows the King sitting with the royal headgear. The mission found the head of the statue separate during the excavation work in the corridor leading to the third pylon of the temple. Dr. Zahi Hawass says that the statue is one of two statues once stood on the sides of the temple but they were destroyed because of the earthquake that hit Egypt during the Roman period and destroyed the whole temple except for the colossus of Memnon. 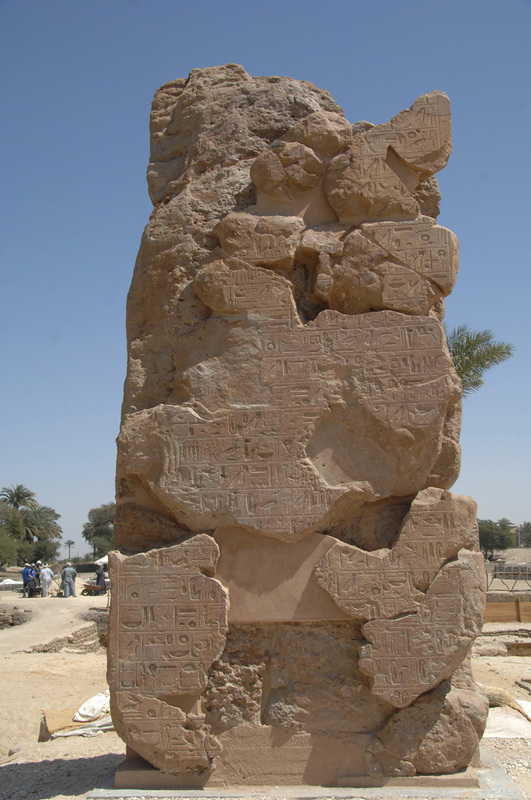 The head of the mission said “that discovery is important as it shows the different arts style in Ancient Egypt especially sculpture as this statue was carved at Hatnob in middle Egypt where only few large statues were carved. The mission also found a head for a god during the documentation of the open yard. The head measures about 28.5 cm and the beard in good condition and it was moved to the storage where a part of the left ear, which was found during a previous season, was attached to the head. 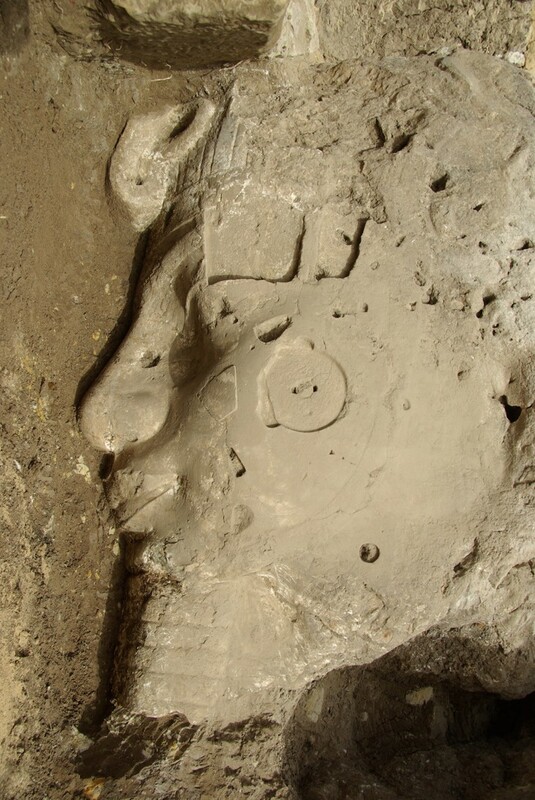 The mission will continue to work on putting the tablets together in the next excavation season after putting the circular top which shows Amenhotep III and Queen Ti giving offerings to Amon Re.